The 3rd largest private sector bank of India is Axis Bank which was previously known as UTI bank. UTI bank changed its name to Axis in 2007 and it offers the entire spectrum of financial services to customer segments covering Large & Mid-Corporates, MSME, Agriculture and Retail Businesses. With a balance sheet size of Rs.383245 Crores as on 31st March 2014, Axis bank has achieved consistent growth and stable asset quality with a 5 year CAGR (2010-2014) of 21% in total assets, 19% in total deposits, 23% in total advances and 28% in net profit. Axis bank segments the market based onPsychographics & demographics variables like income & occupation, age, social class etc. It targets the business class & tech savvy customers for whom time is more important and who would prefer convenience in banking with bank. Axis bank has positioned itself using a combination of positioning strategies i.e. product/service attribute & quality /value basis. Competitive advantage in the Marketing strategy of Axis bank – According to the Global Banking 500 rankings, a valuation of global bank brands done by Brand Finance, Axis Bank is the bank to watch out for and could emerge as India’s next generation bank giving tough competition to established names like ICICI and HDFC in the near future. Axis Bank seems to be moving fast on its digital strategy with a multi-fold increase in the use of electronic banking channels. 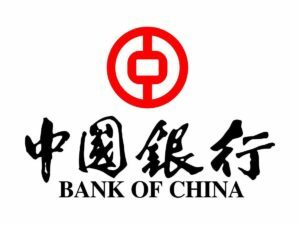 Also their innovative strategies like choose your account number, Real time video banking, the first multi-social payment app in PingPay and the first integrated mobile money platform through LIME, which is the country’s first mobile app that offers wallet, shopping, payments and banking are unique and innovative marketing strategies, giving the bank an advantage over others. Distribution in the Marketing strategy of Axis bank – The bank has a large footprint of 2402 domestic branches (including extension counters) and 12,922 ATM’s spread across the country as on 31st March 2014. The overseas operations of the bank are spread over its seven international offices with branches at Singapore, Hong Kong, DIFC (Dubai International Financial Centre), Colombo and Shanghai. Brand equity in the Marketing strategy of Axis bank – The new campaign “Badhti ka naam Zindagi” of AXIS Bank to enrich the brand is designed by Lowe Lintas lies in the space that Progress has many dimensions and talks about the “holistic” nature of progress and highlights Axis Bank?s journey as a customer centric bank. Customer analysis in the Marketing strategy of Axis bank – Customers of Axis bank are mainly high income group working professionals who prefer best banking services. Majority of customers are middle and upper class income group. 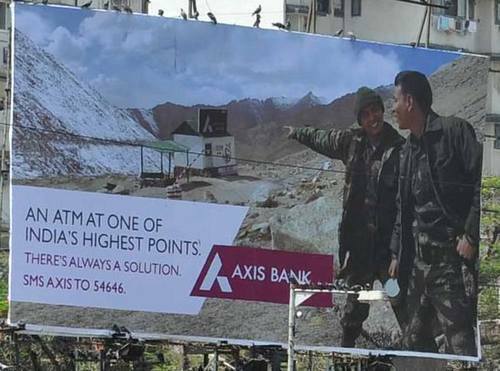 Competitive analysis in the Marketing strategy of Axis bank – In the stagnant banking industry where Public and Private Players are trying hard to make their balance sheet profitable the advent of innovation in serviceability will be the major source of income for the private players. Players like AXIS, ICICI, HDFC, KOTAK MAHINDRA etc. are providing unique services like balance through Twitter tweet, Choose you’re a/c No, Video banking which is making them front runner in driving their revenue in increase customer base as well as profitability. Market analysis in the Marketing strategy of Axis bank – Banking industry is going through a turnaround phase where PSU’s, Private Banks are fighting neck to neck in order to reestablish itself in the competitive market. Private Banks like AXIS HDFC, ICICI Bank revenue and profitability is riven by 3rd party products whereas PSUs revenue and profitability is driven by retail lending, CASA share.